Asia is expected to play a pivotal role in food production demands in the coming decades. As the wealth of asian populations grow, it appears that an increased desire for animal products will be a continuing trend. However, small changes are being made across the continent, and this time, the popular autumnal food Mooncakes are at the forefront of change. As demand for animal products in the western world declines, large corporations reliant on animal agriculture are choosing to expand distribution into Asia. This could have an irreversible impact on the environment at a time when the world desperately needs to change it’s approach to climate change. Influential people in Asia are beginning to recognise the continent’s food problems, and are putting measures in place to discourage Asia’s population from relying on western-style foods. This is particularly important due to the lack of arable land available to Asian countries. Recently, Temasek, a Singaporean government owned investment company, financially backed Impossible Foods, creators of the vegan Impossible Burger so that they could secure the arrival of the plant-based ‘meat’ to the country. In Hong Kong, successful businessman David Yeung has already brought Beyond Meat to Asia, the company in close competition with Impossible Foods. As part of his Green Monday campaign, Hong Kong’s answer to Meatless Mondays, he has set up Green Common, a plant-based supermarket with locations across Hong Kong. This year Green Common will be selling vegan mooncakes. Mooncakes are a seasonal treat often given as gifts as part of the Mooncake Festival which occurs on the 15th day of the eight lunar month. The festival began as a way for the Chinese emperor to thank the moon and sun for a bountiful harvest. Now people take the time to moon-gaze with their relatives. Mooncakes are often given from young people to their parents and grandparents and are a way of creating closer relationships. The pastries are traditionally made with butter, oil, lard and egg yolk which not only makes them heavy on animal products, but also makes them very unhealthy. These baked goods can often be around 1,000 calories! As such, despite the fact that people still give them as gifts, most people don’t eat them with as many as 2 million mooncakes being disposed of each year. It appears that younger generations are looking to healthier alternatives, that aren’t so disastrous for the waist-line. 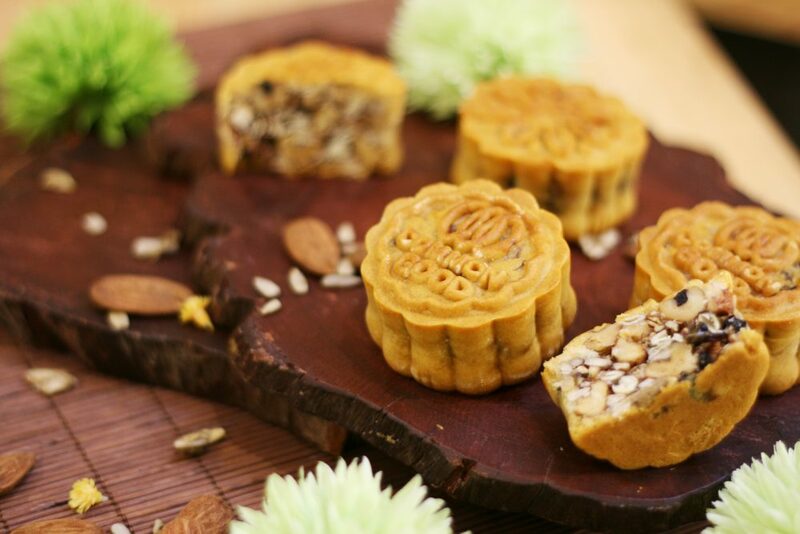 Along with other companies, Green Common are trying to meet the demand for a healthier mooncake option. As well as being completely vegan, Green Common’s selection deviate from the usual sweet lotus paste used in the pastries and include flavours such as quinoa red bean paste and blueberry mixed-nuts. This means that consumers can get a healthy dose of vitamins with their festive treat. Green Common’s vegan mooncakes might seem like a small addition to Asia’s autumnal festival. However, it not only suggests that, as a continent, Asia are becoming more aware of the negative health impacts of animal products, but also shows that a vegan diet is becoming more entrenched in Asian societies.